Avoid taking all Aspirin products (including Baby Aspirin) & Anti­-coagulants for a minimum of 7 days prior to surgery, unless you have been advised differently by our office or the prescribing physician of the Anti-Coagulant. If a sedative has been prescribed, please take it one (1) hour prior to your appointment. Avoid drinking caffeinated beverages prior to your appointment. Please eat prior to your surgical appointment, unless you are having IV All Pre-Op instructions in regard to IV Sedation will be provided directly from the anesthesiologist. If you have any changes in your medical history or medications, please contact the office immediately. 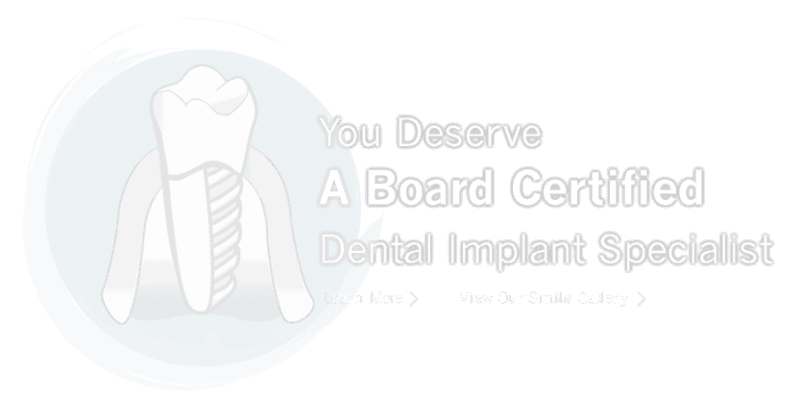 For dental implant & sinus augmentation surgery, you will be given your post-op prescriptions at the completion of your These prescriptions should be filled and started after your surgery. Ice is very helpful to reduce any post-surgery Applying an ice pack 10-20 minutes on and off is recommended as well as sipping ice water (directly from a cup or bottle). Also plan on a cold/lukewarm soft diet for 24-28 hours post-surgery. A full Post-Surgical Care Instruction sheet will be provided to you at the completion of your appointment. EATING: It is necessary to maintain a relatively normal diet throughout the course of healing. For the first 24 hours, cold or lukewarm foods are recommended. Hot foods (coffee, soups, etc ... ) are to be avoided for the first 24 hours. For the first few days, soft foods can be eaten. Chewing should be done predominately on the side opposite the surgical site. It may be necessary to stick to liquids for the first day, if chewing is uncomfortable. Avoid foods containing seeds or small grains. SMOKING AND EXERCISE: Avoid excessive exertion or exercise for the next 24 hours. Also, if you can't stop completely, you should at least refrain from smoking for the first 24-48 hours to avoid interfering with the healing process. DO NOT'S: For the next several days, do NOT spit, smoke, rinse hard, drink through a straw, create a "sucking" action with your mouth, use a commercial mouthwash, drink carbonated soda, or use an oral irrigating device.